IPP flanged RF terminations are constructed on copper flanges and BeO ceramic for low thermal resistance and excellent VSWR at higher frequencies. These terminations are designed to be screw down mounted to a heat sink. Standard resistances values are listed in the chart. Other values are available upon request. 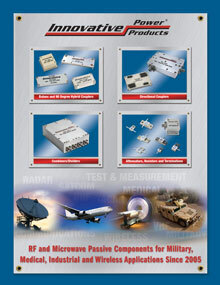 Flanged RF Terminations in Frequency Ranges from DC to 8.5 GHz, in Power Levels up to 800 Watts CW.